Although the appendix may not be good for much, the carry position named for it goes a long way in picking up the slack. 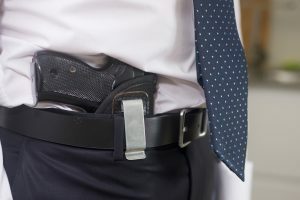 Also known as belly carry, appendix carry refers to concealing a pistol along the user's front waistline on the gun-hand side. 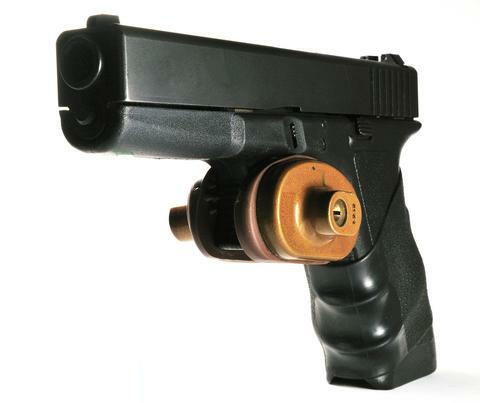 This affords some advantages, in that it renders the pistol easily accessible and requires only very small movements to bring the muzzle to bear on target. Since most appendix carry holsters are built IWB-style, everyday garments will typically conceal a pistol carried in this fashion. As with most types of carry, the results you get will depend on your gear and your comfort level using it. 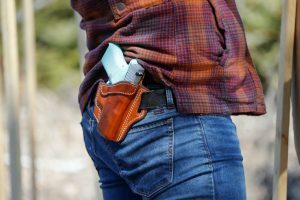 In this article we'll take a look at why people choose appendix carry and discuss a few of the best holster options for doing so. First, let's consider what to look for in an appendix carry rig. Should I Carry Inside or Outside the Waistband? What's a Belly Band, and How Do They Work? Is Appendix Carry for Everyone? What's Necessary to Make Appendix Carry Effective? This is a big one, although hopefully the holster itself isn't. Since appendix carry means the gun will be in front of you, a fairly compact holster is best unless you're used to very baggy clothing. Merely printing is illegal in some states, so it's critical to ensure that your appendix carry holster keeps your pistol well hidden. When it comes to concealed carry, always make sure you know and follow the law! Since easy access to your firearm is one of the big draws of appendix carry, it's vitally important to make sure the holster you choose was designed with quick access in mind. A fast, safe, consistent draw should be a high priority when shopping for one of these holsters. We've all "enjoyed" those unpleasant intrusive thoughts like "what if my gun fell out in public?" 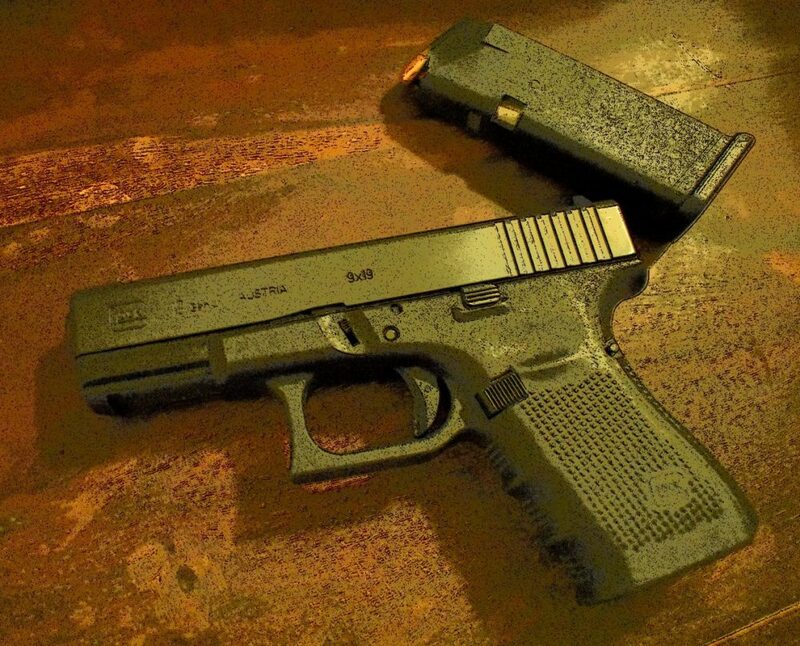 Retaining the firearm until it's needed is the holster's first job. At the same time, the retention measures shouldn't slow the draw or unduly encumber the wearer; it's all about finding the balance that works for you. 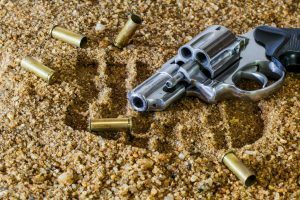 Firearms are expensive, and close contact with the human body throughout daily life can cause a surprising amount of wear. A good holster protects the wearer's pistol from corrosion and hard knocks that might otherwise damage the finish. 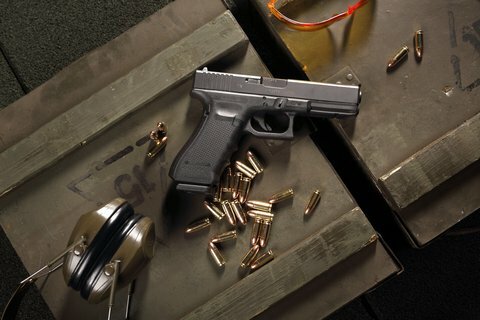 The chief advantage of the appendix carry position is the ease of access it permits. 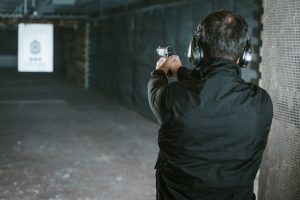 Since your hands naturally fall near your waistline to begin with, you don't have to make sudden, attention-grabbing moves to gain access to your firearm. In addition, the distance between the firearm's draw position and the firing stance is quite short. Less muzzle travel means quicker times on target and less possibility of a mistimed round going in a direction the firer doesn't intend. Most folks who like appendix carry argue for IWB concealed carry holsters as the best option. 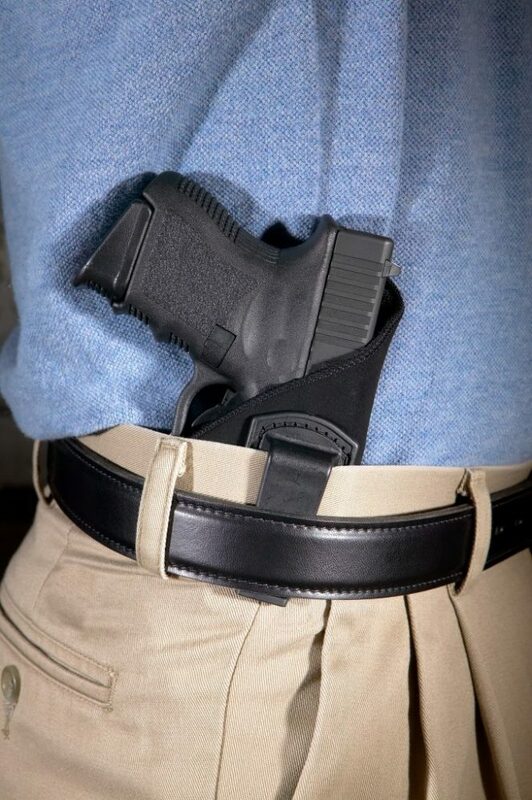 It's pretty difficult to conceal a large OWB holster worn on the front half of the body; if you strongly prefer OWB carry, this position is probably not for you. 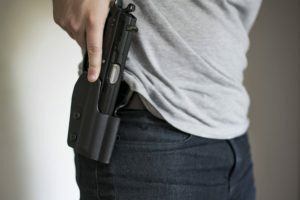 If you carry concealed, you've probably realized by now that some outfits make it a heck of a lot harder than others to comfortably conceal a pistol. Women's clothing frequently lacks a robust belt, as does most exercise attire. Belly bands seek to address this problem by allowing for appendix carry even in outfits that lack appropriate attachment points at the waistline. Rather than clipping a holster to clothing, the belly band uses hook-and-loop closures to maintain its position around the wearer's midsection. This provides tight retention for the pistol and peace of mind for the wearer, potentially at the cost of some comfort and flexibility. As an added bonus, belly bands are typically capacious enough to include room for a few extra magazines or other useful accessories. Recall the wisdom of Euripides who famously said, "different strokes for different folks." (Give us a break, we know guns, not Greek.) Appendix carry is efficient and effective, but some will likely find it to be pretty uncomfortable for daily operations. Put delicately, this carry position is not designed with the portly gentleman in mind. 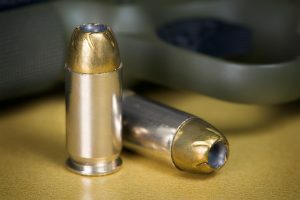 Those of us whose wisdom and life experience have congealed around our midsections will quickly come to realize that when skin argues with pistol slide over who's staying put, the slide always wins. The other factor to consider is the size of the firearm in question. Carrying a 5" semi in appendix carry can get pretty aggravating for people who need to sit, stand, and bend over often in the course of a day. If your normal day sees you moving around quite a bit, we recommend carrying on your hip or the small of your back instead. Check out this expert take from LuckyGunner for some more info on the pros and cons of this carry position. The most obvious answer here is a solid holster that'll retain your pistol until you need it and keep it out of sight and mind until that point. As with everything firearms-related, though, an even better answer is practice. 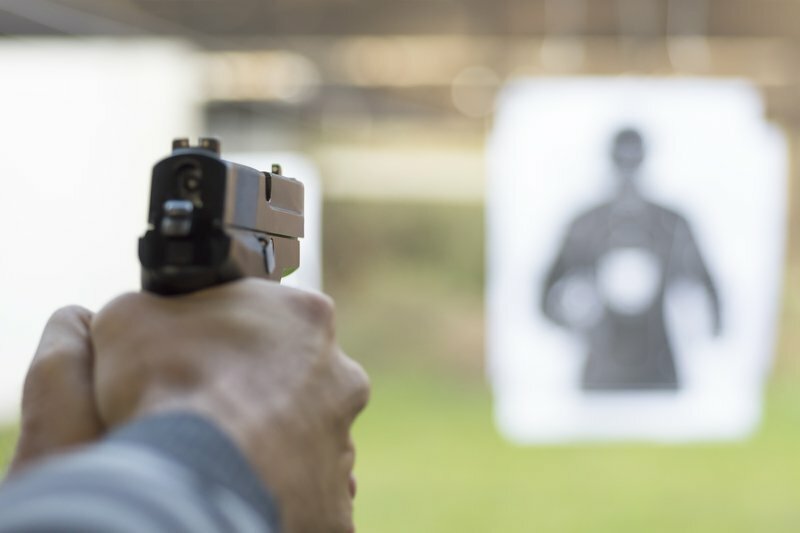 Carrying at the appendix means that your pistol will start the draw pointing at your groin and upper thighs, so it's vitally important to practice your draw, muzzle control, and trigger timing. Putting a round through your own femoral artery tends to defeat the purpose of defensive gun ownership, so make sure that you practice trigger discipline on the draw until it's second nature. It's time to take a look at a few of the best concealed carry holsters for appendix carry. As we mentioned, our priorities here are concealment, accessibility, retention, and protection; with those in mind, our top picks are as follows. First on the list is the ShapeShift from Alien Gear Holsters. The ShapeShift is designed for comfort and ease of access and largely lives up to these ideals. The adjustable retention system means this holster can work with a wide variety of firearm types, and Alien Gear's range of accessories such as magazine pouches make it easy to customize. For customers in search of a wider back panel, Galco's King Tuk AIWB system has you covered. Galco is synonymous with quality and durability; you can expect to pass this holster on to your grandkids someday. Thanks to recent updates including a redesign meant to increase airflow, this holster size won't affect the wearer's comfort. Lastly, anyone looking for a simple solution on a budget should check out Sticky Holsters. For the latest price and information for the Sticky Holsters click here. They're the ultimate in simplicity: no clips, no snaps, just a sheath for your weapon wrapped in material. This materials, clings to your clothing to keep your firearm in place. It's not fancy, but it'll get the job done in a pinch. No matter which you choose, just remember that the gear can only get you started - it's practice that makes perfect.